Take a peek at our remodeled showroom. For your convenience we have free WiFi, coffee, beverages and our top notch team, who are committed to getting you safely back on the road as quickly as possible. 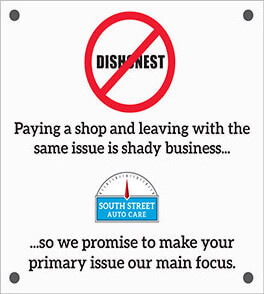 South Street Auto Care has been serving the Rochester area since 1973. Family owned and operated we strive to provide professional and courteous service to all of our valued customers. 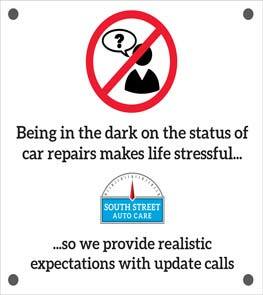 South Street Auto Care at 216 South St. (under the bridge) is capable of handling all of your automobile repair needs. 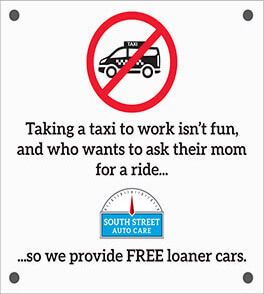 Thank you for visiting our website and we look forward to maintaining your vehicle in the future.